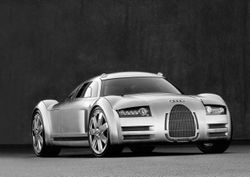 The Audi Rosemeyer project, the car that could have redifined what Audi is today. Nostalgia is one of the main sources of inspiration for the automotive industry, some times this resulted in something good, like the 2005 Ford GT, however this isn’t always the case. 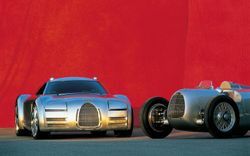 Back in the year 2000, Audi wanted to pay tribute to one of the drivers of Auto Union (Audi’s predecesor) this driver was Bernard Rosemeyer, who died in January 1938 in a car crash on the highway that conected Frankfurt and Darmstadt, he was trying to set a new speed record when a strong burst of wind made him lose control of the car and sent him to his death. 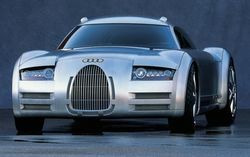 62 years later, Audi decided to create a supersports car to pay tribute to this driver creating The Rosemeyer Concept. 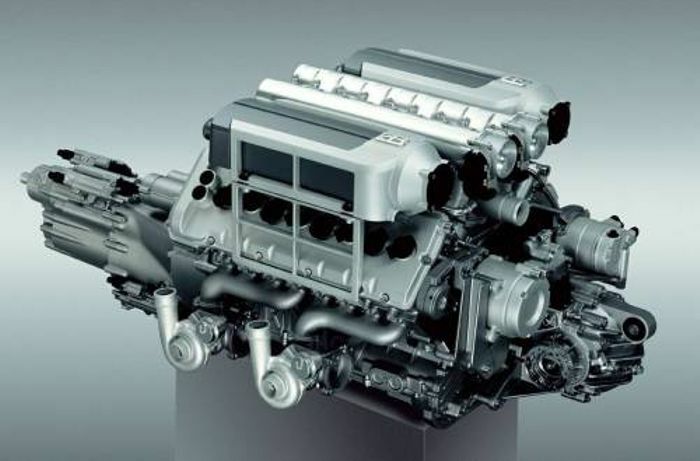 Inside its alluminium body, the Rosemeyer was equiped with the most advanced technology. 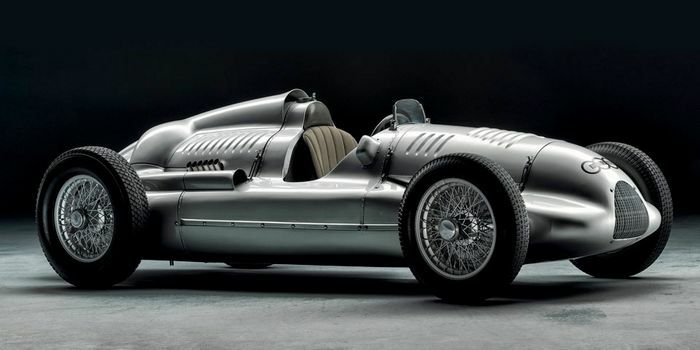 However, the outside was designed to look like the old Auto Union race cars, keeping details like the front grill and the fact it had no paint, its silver was aquired from the polished alluminium. Audi tried to inovate a lot with this car, so much in fact that for better aerodynamics it had small cameras instead of side mirrors, this is very common today but at the time it hadn't ever been done. It had enourmous 20 inch tires as well as vented and perforated disc brakes. 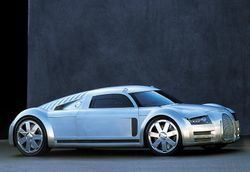 The interior had the style of other Audis at the time, exept for some details like making the dash completely out of carbon fiber and having the roof, the floor, and the rear of the cabin covered in Nomex, a fire proof material. 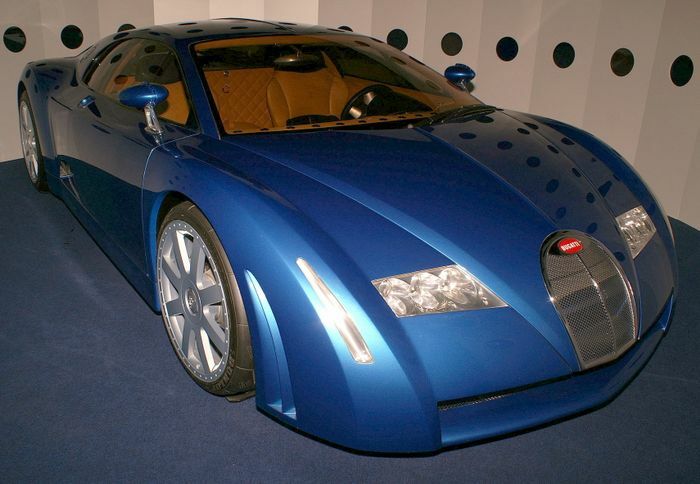 It was also very well illuminated, having a having a gigantic front windshield, it also had one at the rear but it allowed absolutely no visibility of whats outside, instead it allowed you to see the engine. from before the war. 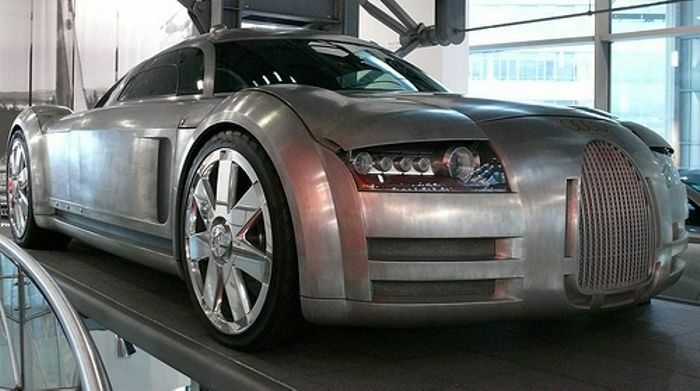 The result was literally the first victim of the Bugatti Veyron, and it looks like it is completely dead because after this Audi hasn’t even thinked of building anything like it.